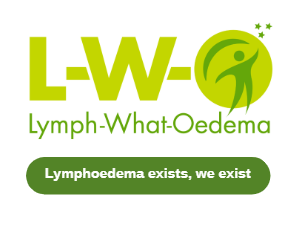 Since I was diagnosed with Lymphoedema in May 2011 and I started my L-W-O journey in September 2013 my anger at the lack of information turned to passion to learn more about my condition. Whilst there were few organisations that I could turn to, over the last 5 years the growth has been phenomenal. I have taken quite a long time to decide how I could best represent other organisations who have the same aim to raise awareness of Lymphoedema and have decided on a simple link format. The L-W-O website contains links to other websites. These are provided as useful sources of information and inclusion of such links to other websites does not imply, endorsement by L-W-O, of any kind as to their content or quality. Since founding L-W-O in 2013 there has been a big rise in patient advocacy groups, support groups, bloggers all talking about and providing information for those of us living with lymphoedema. The online lymphoedema community generously shares experiences, information and support. Many of us have become friends and a sense of belonging to our online lymphoedema community.